Mission: To assure that all Indiana families with infants and toddlers experiencing developmental delays or disabilities have access to early intervention services close to home when they need them. This is accomplished through the implementation of a comprehensive, coordinated statewide system of local interagency councils called first steps. Easter Seals Arc of Northeast Indiana celebrates over 50 years of providing services to children and adults with disabilities and other special needs, and support to their families. The mission of the Easter Seals Rehabilitation Center in Evansville, IN is to provide life-changing services that maximize the independence of children and adults with disabilities and to ensure equal opportunities to live, learn, work and play in our community. Medicaid waivers for children and adults with medical needs. Apply at your local Area Agency on Aging. Medicaid waivers for children and adults with intellectual and other developmental disabilities. Apply at your local Bureau of Developmental Disability Services. Call: 800-545-7763. The Riley Hospital for Children Clinical Genetics at Indiana University Health provides services to more than 1000 individuals and families per year. Our board certified geneticists and genetic counselors serve patients in multiple clinics throughout central and southern Indiana. These services are supported in part by Title V, Maternal and Child Health Block Grant funds administered through the Indiana State Department of Health, Maternal and Child Health Services. The Riley Clinical Genetics at IU Health also directs the Indiana University Genetic Counseling Program, provides clinical experience to PhD students and offers post-doctoral fellowships in clinical genetics. The Down Syndrome Association of Northwest Indiana, which was founded over 25 years ago, serves families of both children and adults with Down Syndrome. 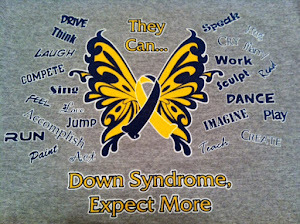 Our volunteers provide support, information and services to children with Down syndrome and their families. Thanks to the generosity of those in the community, we have been able to distribute, free of charge, accurate and encouraging information to families experiencing the birth of a child with Down syndrome including personal contact with another parent who has been trained to offer support. One of the objectives of DSANI is to provide current information and support to parents as soon as their child is diagnosed. While they do not claim to be experts themselves, they hope to help you sift through the wealth of information available, and find the most up-to-date and educational. Through their Outreach Program, they offer "Expectant Parent Packets" and "New Parent Packets" of resource materials to new parents receiving a diagnosis of Down syndrome for their child. These materials are available upon request and through referrals from area hospitals. Welcome to Down Syndrome Indiana where we are dedicated to enhancing the lives of individuals with Down Syndrome through education, support and advocacy. We are glad you are here, and we hope that you become an active part of our family! Down Syndrome Indiana would like to congratulate you on the birth of your new baby. They have compiled a list of helpful resources for new parents that they can provide to you at no cost. To request a parent packet please contact Rachel Lowe by calling 317-925-7617 .
educational and economic opportunities in the communities we serve. Down Syndrome Family Connection's purpose is to promote greater acceptance and understanding of Down syndrome; to educate, inform and involve all people to recognize the uniqueness and capabilities of individuals with Down syndrome and the inherent dignity of all people with developmental disabilities; and to provide education and support for communities, families and individuals living, learning, and growing with Down syndrome. Raising Special Kids is a Down syndrome support group formed in conjunction with Hillcroft Services, Inc. and Down Syndrome Indiana to provide a network for families and caregivers in East Central Indiana. Hillcroft and VSA Arts provide quality therapeutic programming for children of all ages for each monthly meeting. Therefore, reservations are required in order for us to plan accordingly. Please include the name and age for each participant. -To provide an on-going parent-to-parent support system, making available a network of resources within the community at large, i.e. social, physical, emotional, spiritual and educational contacts to holistically meet the needs of the parents, siblings and persons with Down Syndrome and thus, inspiring the entire community to raise their level of respect of those with special needs.